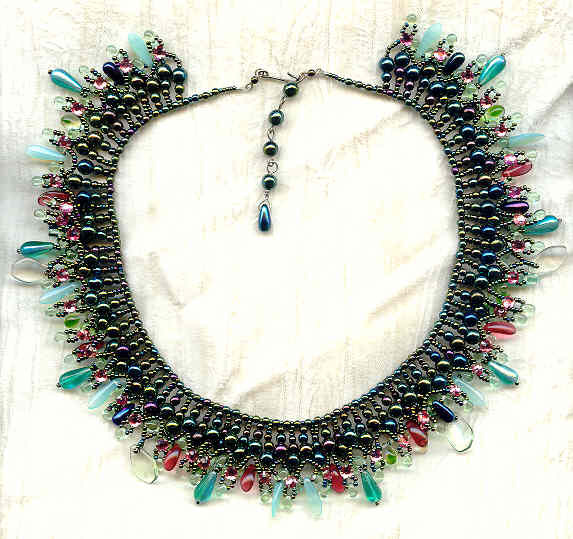 Here?s a walk on the wild side in necklace form: an artisan crafted collar necklace made with two layers of iris-finished green glass beads and fringes of a variety of drops and daggers. The top layer is ruffled with vintage rose pink crystal roses montees, tiny prong set rhinestones originally meant to be sewn on garments. 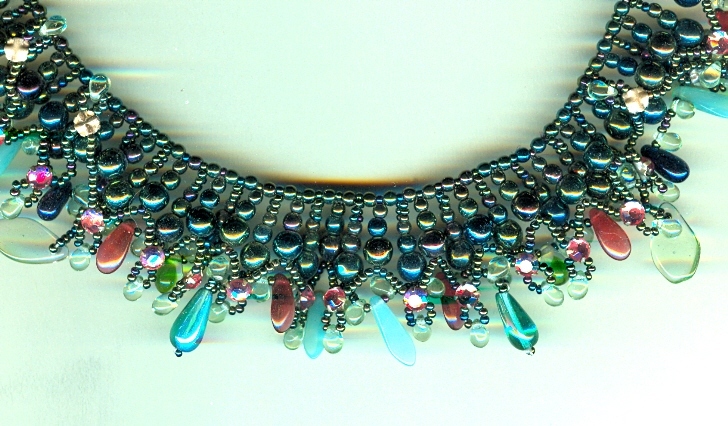 The hook-and-extender closure gives the necklace a working length of from 17 to 19 inches. It?s a necklace that?s BOUND to get the wearer noticed. It?s from SPARKLE PLENTY, of course.